I sat on the couch with popcorn and soda ready for the match. “Dad! Come on, Don King is on camera!” Wide-eyed, I watched the infamous boxing promoter smile and chat with his evening’s guest. It was 1997, I was 15 years old, and had never really been into boxing. My experience with the sport was confined to playing hours of Mike Tyson’s Punch-Out on Nintendo. Little Mac and I went toe-to-toe with Iron Mike on the screen and I was looking forward to watching him take on Evander Holyfield, the fighter who had beaten him less than a year before. “The Sound and the Fury,” as it was billed, was about to begin. At the time, I had no idea that this epic battle in the ring would be the harbinger to another epic battle nearly 20 years later. A battle that pitted two standardized testing companies — the ACT, and the College Board (facilitators of the SAT) — against one another as they decided the future trajectory of classes of anxious Seniors. Because I was an amateur viewer of boxing, I had little context for what to expect. The crowd sat eagerly in their seats, ready for the bell to signal the start of round 1. The tension was thick, as both Tyson and Holyfield bore grimaces of focus and nearly a year of preparation. The match was promoted in the media for months beforehand, leading to a 2 million+ viewership worldwide. It was an international spectacle. Fast forward 20 years, and our international spectacle includes a similar scenario: Millions of students anxiously awaiting their answer folders as headlines questioning SAT security and calling out widespread ACT cheating pass through their racing minds. 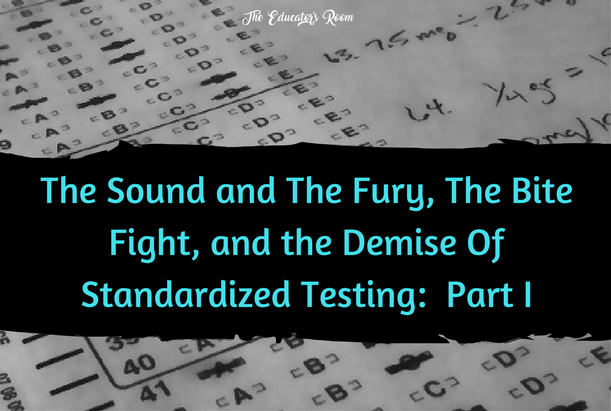 All baring grimaces of their own weeks and months of preparation, students have banked their futures on these tests and tension is equally thick in gymnasiums, libraries, and classrooms on each of six yearly Saturdays across the country. While both statements appear to be rather benign in nature, they speak to the greater issue at hand. Certainly there will be conflict between rivals in the same industry, but outward, calling-out of these rivalries in the public sphere with the futures of students on the line is something different entirely. But, was the writing on the wall? Had this public conflict been years in the making? Stay tuned for Part II.